The New Hampshire Teachers of Mathematics (NHTM), the Association of Teachers of Mathematics in New England (ATMNE), and The National Council of Teachers of Mathematics (NCTM) want to work with you and your students! The Mission of the New Hampshire Teachers of Mathematics is to provide vision and leadership in improving the teaching and learning of mathematics so that each student is ensured quality mathematics education and each teacher of mathematics is ensured the opportunity to grow professionally. As a member of NHTM you are affiliated with the Association of Teachers of Mathematics in New England, ATMNE. In addition to their informative publications, The Newsletter and the New England Mathematics Journal, you also receive reduced fees at their annual fall conference. NHTM provides leadership in Mathematics Education in the State of New Hampshire through its newsletter Mathesis and its Annual Spring Conference. NHTM provides professional development in Mathematics Education in the State of New Hampshire through its Annual Spring Conference and by sponsoring NCTM E-Workshops throughout the State. NHTM provides financial support to future mathematics teachers by offering two scholarships annually to prospective mathematics teachers. NHTM recognizes leaders in Mathematics Education by awarding three awards: Richard H. Balomenos Award for service, The Fernand J. Prevost Mathematics Teaching Award, and the Richard C. Evans Distinguished Mathematics Educator Award. 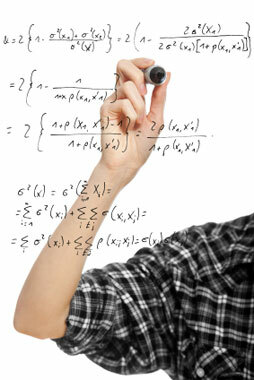 NHTM provides financial support to the State Mathematics Contest. NHTM recognizes student achievement and teacher service with certificates of recognition. NHTM donates to the National Council of Teachers of Mathematics Mathematics Education Trust (MET).